This week Rick Hoskin, Chair of the Royal New Zealand Foundation of the Blind (RNZFB) Board, has announced Sandra Budd’s decision to step down from her role as Blind Foundation Chief Executive. In a nod to her favourite phrase for new staff members, Sandra said: “I made ‘my best career decision’ when I welcomed the opportunity to undertake a major programme of change to modernise the Blind Foundation and build long term sustainability. During her time at the Blind Foundation, Sandra has striven to provide a life without limits for clients and led courageous initiatives including a pilot programme to reach the thousands of people with low vision who currently have little or no support. She has also developed an Eye Health Coalition to encourage New Zealanders to take care of their eyes. Sandra shares: “I am very positive about the future of the Blind Foundation. I know it will go from strength to strength and will continue to be a leader in the national and global disability sector, reaching more people and providing choice to our clients. 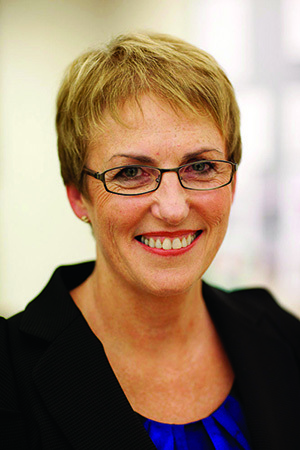 Sandra’s departure on 30 June 2019 is part of a planned succession process aligned with the conclusion of the Blind Foundation’s five year strategic plan. Recruitment for the Chief Executive position will begin shortly, to ensure a smooth changeover.